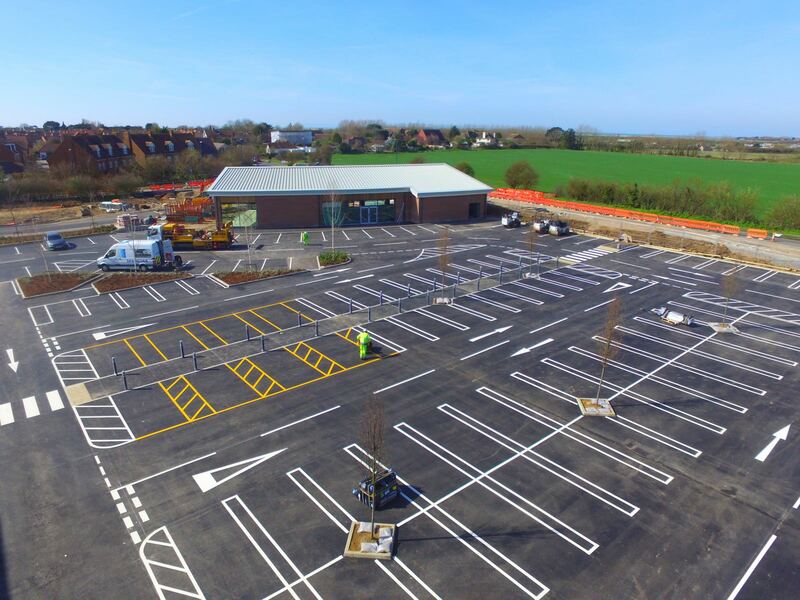 Thermoplastic paint is ideal for car parks that experience a great deal of traffic – especially those at retail superstores, which is exactly why the Roadgrip team were brought in to help Asda at Selsey. 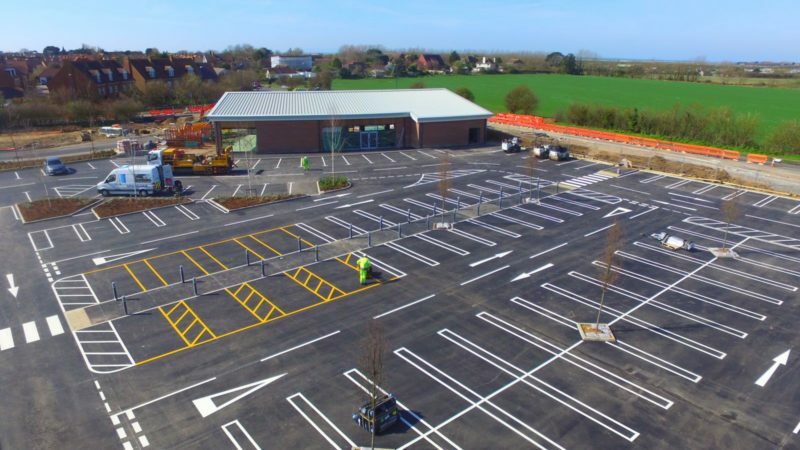 The Roadgrip Retail division work nationwide throughout the UK, on a daily basis, installing line markings in car parks and our specialist team can apply any design quickly and accurately, with minimum disruption. 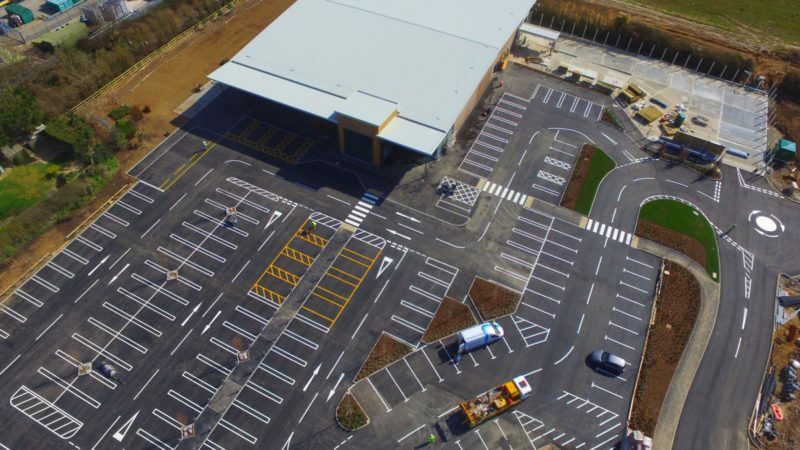 From symbols, branding and walkways to white lines and parking bays, thermoplastic is the perfect formulation for the job. 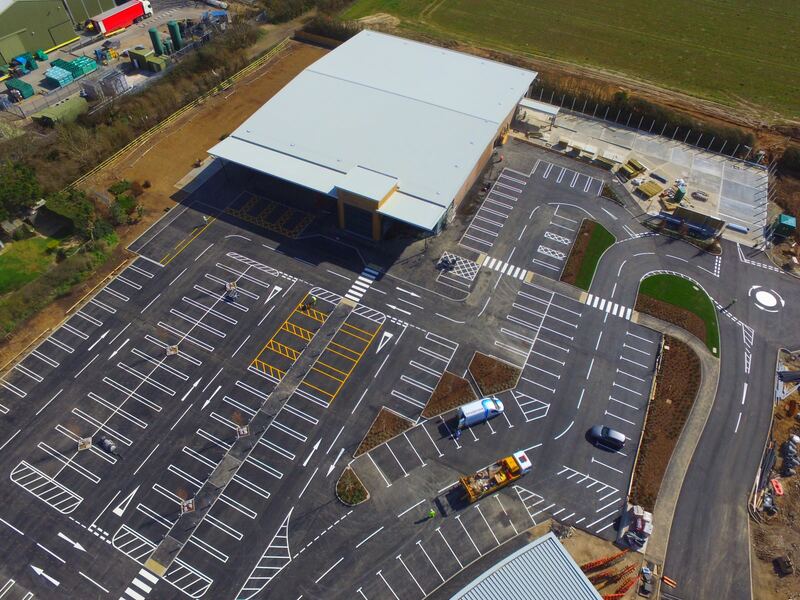 If you want an experienced UK car park marking team who can mobilise quickly nationwide, contact us below for a quick quote.